I'd love your suggestions about how to improve the blog. I wanted to take the occasion of the year’s mid-point to thank everyone who has joined this community at one point or another during the year and to ask for your suggestions about how to improve the site. It’s hard to believe that it’s been 18 months since I started the project, and the community has grown in an almost exponential manner. Whereas by last year at this time, we celebrated 10,000 people having clicked on the site, now we have had upwards of 340,000, close to two-thirds of which have come in the past six months. Beyond the number of people on the site, I’ve particularly enjoyed the comments. Many have come from friends old and new, and an increasing number of the non-spam variety-my non-existent Russian skills are starting to improve due to the steady spam stream-are from people I am meeting through the space we have created together. Thanks to all for sharing your opinions! 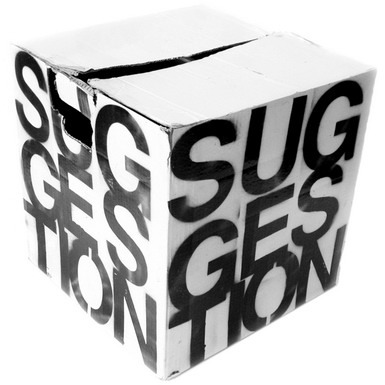 Speaking of opinions, I’d love to get your ideas on how to improve the site. Feel free to weigh in on any aspect-the site’s layout, method of subscription, length of post, absence of audio or video-and know that I’ll take the comments seriously. Thanks again, and I look forward to hearing from whoever wants to weigh in about the blog. Henri Charriere's Papillon is a classic adventure tale and indictment of the French penal system. ORIGINAL POST: Anne Murphy and her daughter Hannah Duehren will be heading back to Massachusetts tonight after a brief and eventful few days here in the Chicago area. Anne mentioned that her son Andrew is a “reluctant reader,” a frequent phenomenon among adolescent boys, and asked for recommendations that might pique his interest. I’ve given her copies of Running with the Buffaloes and White King, Red Queen, both of which I’ve written about before. I also mentioned Papillon, Henri Charriere’s classic tale of his unvanquished spirit and insatiable quest for freedom. 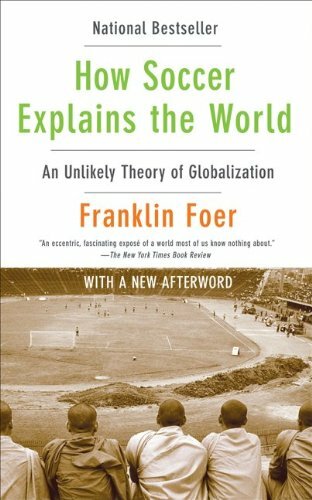 Franklin Foer's book puts soccer in a global context. The 2010 World Cup is deep into the Round of 16, and I’m getting more engrossed by the day. Yesterday I watched the United States’ team show gritty resolve, but ultimately be unable to come from behind twice against a determined Ghana squad. And this morning I saw yet another refereeing catastrophe as Frank Lampard’s game-changing goal, which clearly bounced off the top crossbar and into the goal, was ruled not to be so. The decision left England trailing Germany, 2-1, and put the Lions in a pressing position, that led to two later German counterattack goals and a 4-1 final margin. I wrote before the tournament began about the South African soccer memories sparked by the world’s largest sporting event being held in Alan Paton’s Beloved Country. I actually first played the game in earnest in 1979, when we spent a year in Oxford, England, and Mike and I attended Magdalen College School. During our 20-minute tea breaks or and hour-long lunch times, I would join my classmates in kicking either a tennis ball, or, on rare occasions, an actual soccer ball. Toward the end of our time, we attended an exhibition match between Oxford United, who then were in the third division, and Tottenham Hotspur, which featured Argentinian stars Osvaldo Ardiles and Ricky Villa. For us, the game was notable both for United’s surprise victory and for the pitch invasion by local hooligans that occasioned the police summoning Alsatians to subdue the invaders. Although the hostility toward the foreigner and the hooligans’ drunken violence shocked me then, reading Franklin Foer’s How Soccer Explains the World helped me place my childhood experience in a broader context. Erik Larson's chilling tale of serial murder is well worth reading. Dunreith’s dear friend and former roommate Anne Murphy is staying with us for the weekend, along with Hannah Duehren, her oldest daughter who is fresh off a two-week architecture experience at Notre Dame. In addition to catching up, reliving memories from when they lived together in their native Springfield, Dunreith and Anne have been talking in almost disbelieving tones about Hannah and Aidan’s impending college applications. As part of that process, we plan to head down to the University of Chicago by way of IIT, which has a Mies van der Rohe building that some say is his finest achievement and a futuristic student center designed by visionary architect Rem Koolhaas. The University of Chicago is home to the Midway Plaisance, which was one of the major sites for the fabled 1893 Colombian Exposition that announced Chicago’s official rebirth after the devastating 1871 fire. It’s also where legendary architect and civic elite member Daniel Burnham made of his most significant contributions and where serial killer H.H. Holmes plied his diabolical trade. 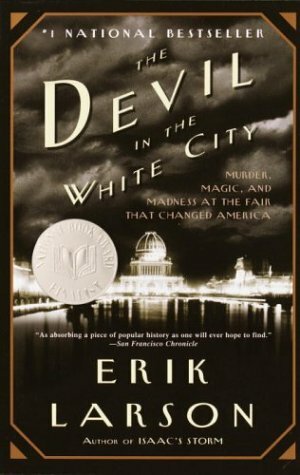 Erik Larson tells the story of both men and a whole lot more in Devil in the White City. We mourn the loss of the incomparable Sonia Weitz. 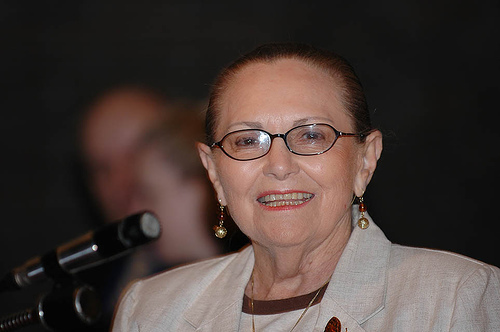 Holocaust survivor, poet, and Holocaust Center director Sonia Schreiber Weitz died peacefully last night. Born in Krakow, Poland, the elegant, Weitz dazzled, moved and informed students and participants at Facing History for more than a quarter century with her recounting of her wartime experiences. The survivor of five camps, she lost about 80 members of her family, yet retained her courage, strength and dignity. She kept her beauty, too. I remember vividly taking her to a school in Boston. While there, a young woman tried to reconcile her previous understanding of survivors as aged, broken people with the vital, impeccably dressed Sonia, who had her brown hair pulled tightly back in her trademark look, standing in front of her. Driving resource speakers to and from schools was one of my favorite parts of working for Facing History, and Sonia was no exception. Unfailingly gracious and grateful, she made me feel like I was doing her a favor, rather than the other way around. Although I learned from her wisdom, our times together weren’t all heavy. She would talk about friends and family, exchange a little gossip and tell me who she was trying to fix up with whom, because, of course, no one should be alone. Sonia relished life-a sense that to me was deepened by her visceral understanding from the war that you never know how much time you have, and thus should be savored. She captures that sensibility in the poem, Victory. Part of her book, I Promised I Would Tell, it describes a dance she shared in the barracks with her father before he was killed. 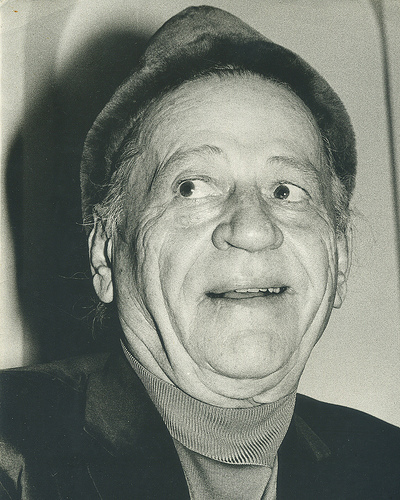 Flavian Prince is using this film as part of his mentoring program. I had lunch today with Flavian Prince, filmmaker, educator, world traveler and general creative being. The man sheds jobs more frequently than snakes skin. He tells me he sleeps, so I’m going to trust him, but it’s hard to believe how much life he crams into a single day. To give just a smattering of his activities, he plays and coaches rugby, is working on his doctorate, is consulting at an area school and developing a transformational mentoring program. That says nothing of his traveling, which recently took him to Des Moines and Denver domestically, and is slated to see him go to Cambodia and the Philipines over the summer. We first met through Dunreith when he was working at John Harvard Elementary School in Englewood. 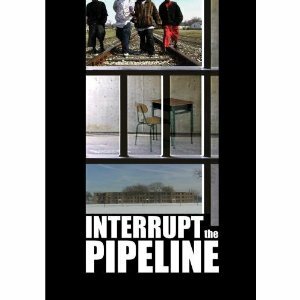 At that time, Flavian was also working on a documentary film, Interrupt the Pipeline, about the experience of young people who moved from their homes in the Chicago Housing Authority to Champaign through the Plan for Transformation. Many of these young people ended up in the system’s alternative schools, where Flavian was teaching. From there, many went to prison. Tagged Flavian Prince, Interrupt the Pipeline, Paulo Freire, Pedagogy of the Oppressed, Project M.A.R.O.O.N.S. Alter's book provides the back story to the McChrystal-Obama controversy. Gen. Stanley McChrystal’s incendiary comments in a Rolling Stone story, summons to Washington and possible firing have dominated today’s headlines. While in many ways it could be a dizzying fall from the heights of power, for those who followed McChrystal’s actions last year while Obama was weighing his options in Afghanistan, the decision is unsurprising. 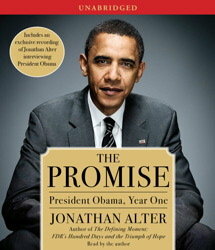 I wrote earlier this month about Jonathan Alter’s The Promise, his look at the 18 months that started with the September 2008 economic summit and that ended this March with the passage of health care reform-legislation that thus far is the president’s singular domestic accomplishment. Alter writes in words and in the caption to one of the book’s pictures that McChrystal’s attempts to force Obama’s hand represented the sternest test by the military of civilian authority since Gen. Douglas MacArthur and then-President Harry Truman squared off during the Korean War. The late, great David Halberstam wrote about the earlier conflict in at least two of his books (I’ve not read all of his works, but plan to do so eventually): The Fifties, his exhaustive look at the decade during which he came of age, and The Coldest Winter, his final completed book.